The binary trading industry saw the debut of a new financial options broker, which managed to stand out through its trading services that only process payments and payouts in bitcoins. Still in beta stage, UpDown, the latest addition to the growing number of second-generation brokers, unveiled its trading services that offer Bitcoin funding and Bitcoin binary options trading as well as an asset list that includes a total of nine different underlying assets to date. Investors can gain profits in bitcoins by trading gold, silver, and crude in real time along with six foreign currencies namely euros, British pounds, Swiss francs, Australian dollars, New Zealand dollars, and yen, which are all paired with the US dollar. Meanwhile, the currency pair BTC/USD will soon be added to the broker’s asset index as soon as a partnership with a Bitcoin exchange has been negotiated. UpDown offers 60 seconds binary options trading, which means all contracts will result in a profit gain or loss in just one minute, making trading quick and financially rewarding. This, however, may cause some traders, especially those new in binary options trading, to succumb to risks due to fluctuations within a short expiration time if without knowledge of appropriate strategies. Binary options trading, which gained momentum and popularity since it was allowed in 2008, involves the prediction or speculation of the direction the price of an underlying asset will take at the end of a given time period, where an in-the-money contract yields a return while an out-of-the-money causes the loss of initial investment. Also called digital options, fixed returns options, and all-or-nothing options, binary options are traded only on the American Stock Exchange in the US while investors based in the other countries can trade with independent brokers online that offer fixed payouts and investment risks. At present, there are only a few first-generation brokers, those offering the BTC/USD pair for fiat currencies, in the industry, but more second-generation brokers like UpDown has started entering the Bitcoin binary trading scene. 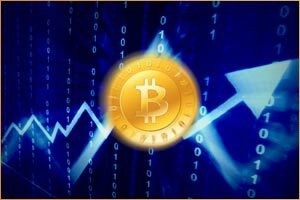 More online binary brokers operate on Bitcoin, including the Satoshi binary options platform.